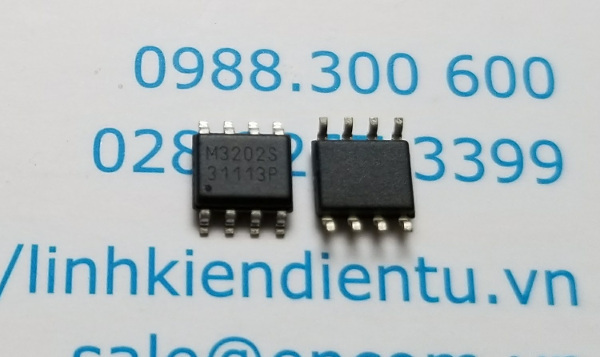 The M3202S is a 380kHz fixed frequency, current mode, PWM buck (step-down) DC-DC converter, capable of driving a 2A load with high efficiency, excellent line and load regulation. 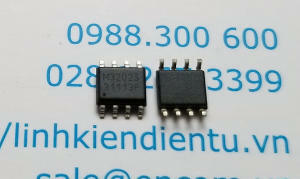 The device integrates N-channel power MOSFET switch with low on-resistance. Current mode control provides fast transient response and cycle-by-cycle current limit. A standard series of inductors are available from several different manufacturers optimized for use with the AP3202. This feature greatly simplifies the design of switch-mode power supplies. 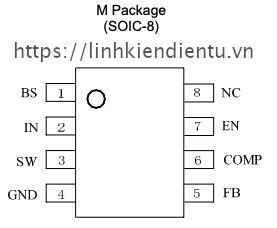 This IC is available in SOIC-8 package.